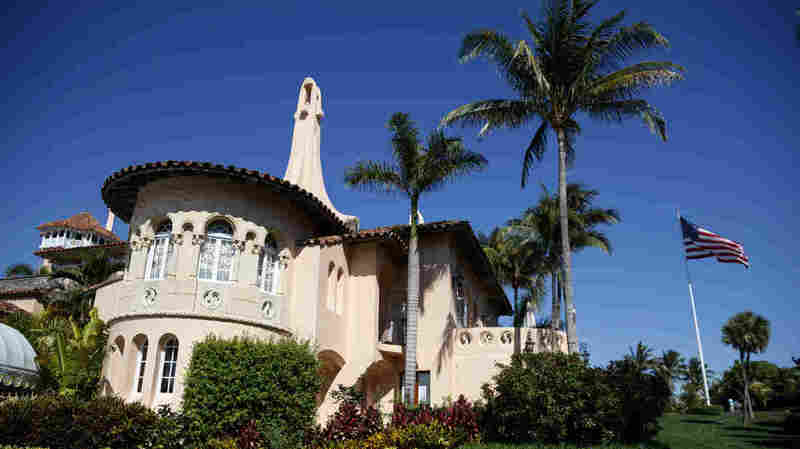 Chinese Woman Arrested After Illegally Entering Trump's Mar-a-Lago Club The woman told Secret Service agents she wanted to go to the pool. But she didn't have a swimsuit. Then she said she wanted to attend a United Nations event. Nothing was scheduled. A woman has been charged with attempting to illegally gain access to Mar-a-Lago, President Trump's private golf club. Many details about her weren't immediately clear — for example, whether she is from Taiwan or from mainland China; she told investigators she had come to Florida from Shanghai. Once inside the club, Zhang told a different Secret Service agent that she was there to attend a "United Nations Chinese American Association" event later in the evening. No such event was scheduled, and the club's managers said she was not on any list authorizing her to be there. So Zhang was detained and later told agents that a "Chinese friend" had told her to travel to Mar-a-Lago and speak with a member of Trump's family about U.S.-Chinese economic relations. Zhang was carrying the two passports, four cellphones, one laptop, an external hard drive and a thumb drive that contained "malicious malware," the criminal complaint said. Trump was not at Mar-a-Lago at the time of the visit, but he and his family were staying there over the weekend. There was no danger to them, authorities said. The Secret Service explained in a statement on Tuesday evening that it doesn't determine who is "invited or welcome" at the president's club; its role is to preserve the security of the site and the president, which it did in this case. The agency also explained that being admitted to Mar-a-Lago "does not afford an individual proximity to the president or other Secret Service protectees. In such instances, additional screening and security measures are employed." In other words, the agency said, getting access to Mar-a-Lago doesn't necessarily mean getting access to the president, his family or other officials without other protocols. Officials at the Justice Department's headquarters in Washington had no comment about the case. A federal public defender representing Zhang declined to comment to the Miami Herald. NPR national justice correspondent Carrie Johnson and NPR White House correspondent Tamara Keith contributed to this report.